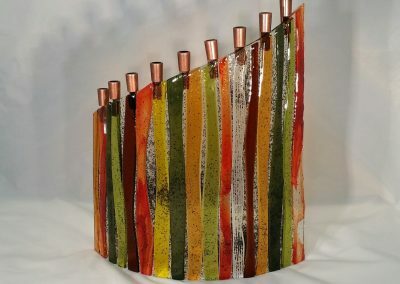 Some friends asked me if I could make Menorahs for them. 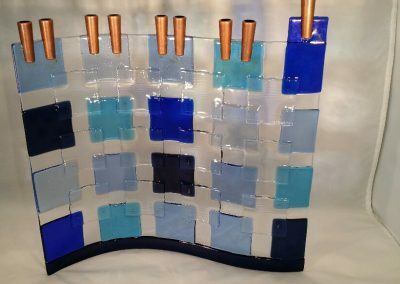 I’ve found that they are interesting to make and can just use my imagination and own color themes. 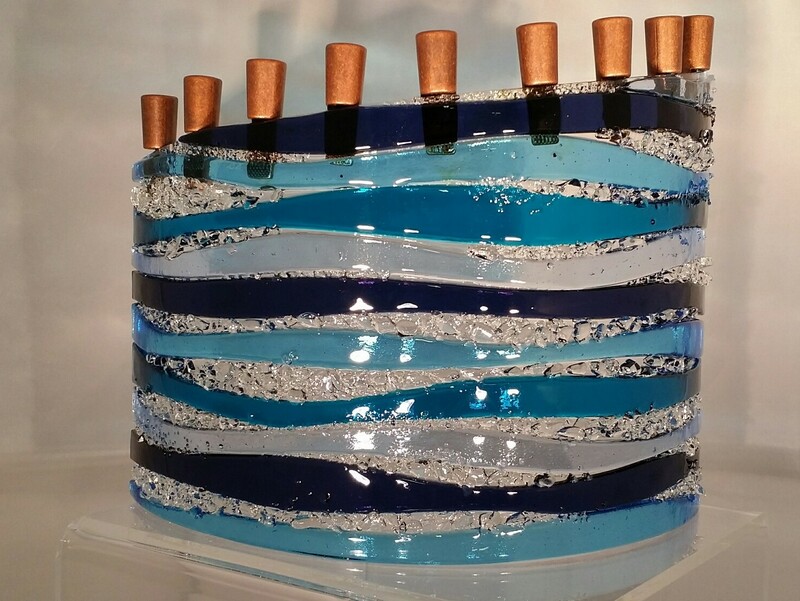 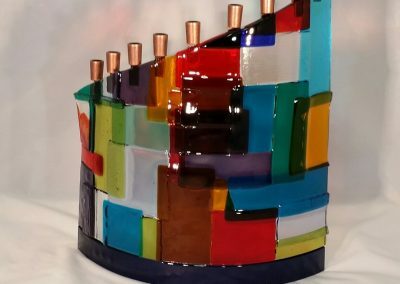 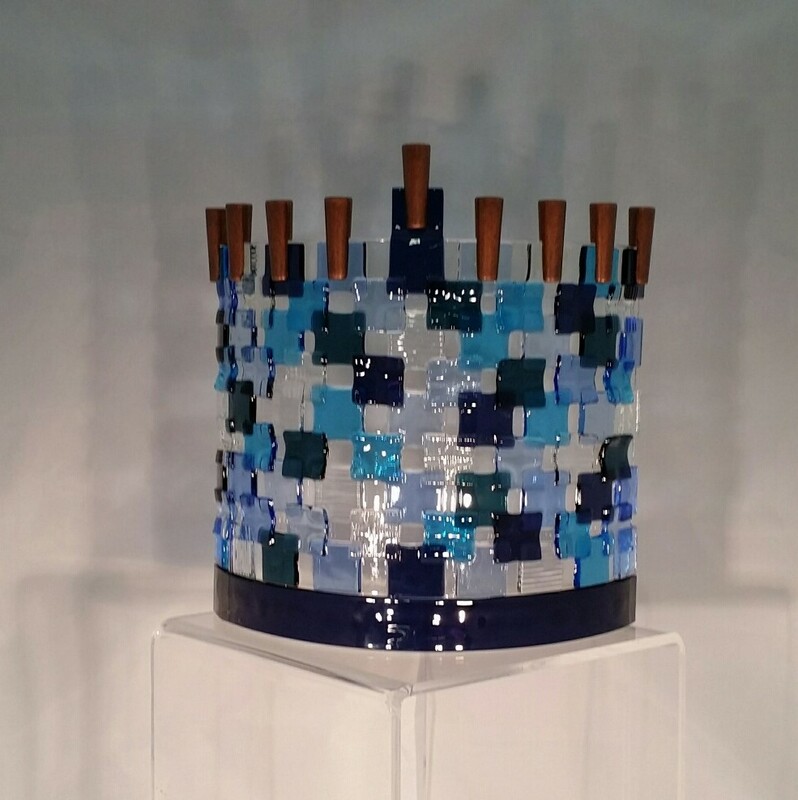 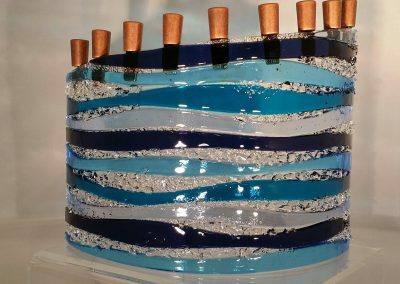 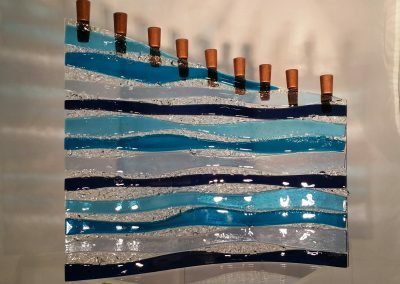 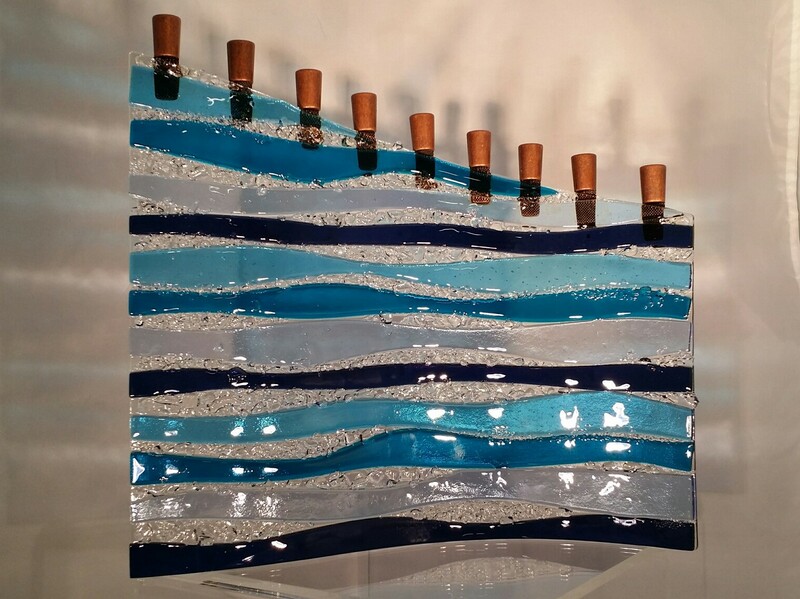 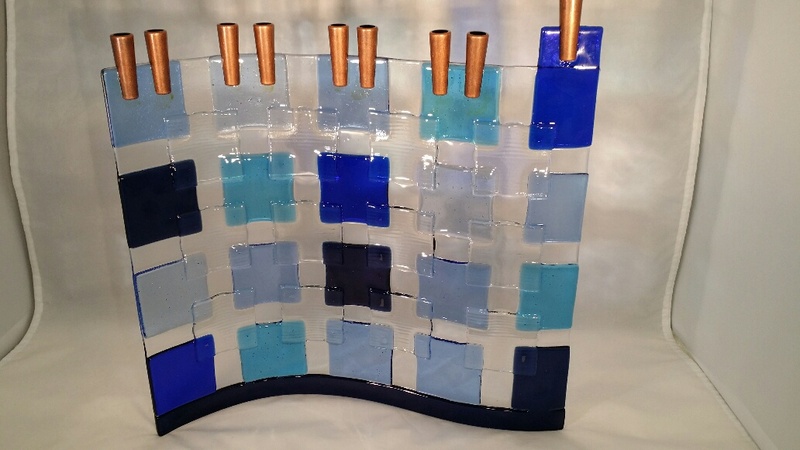 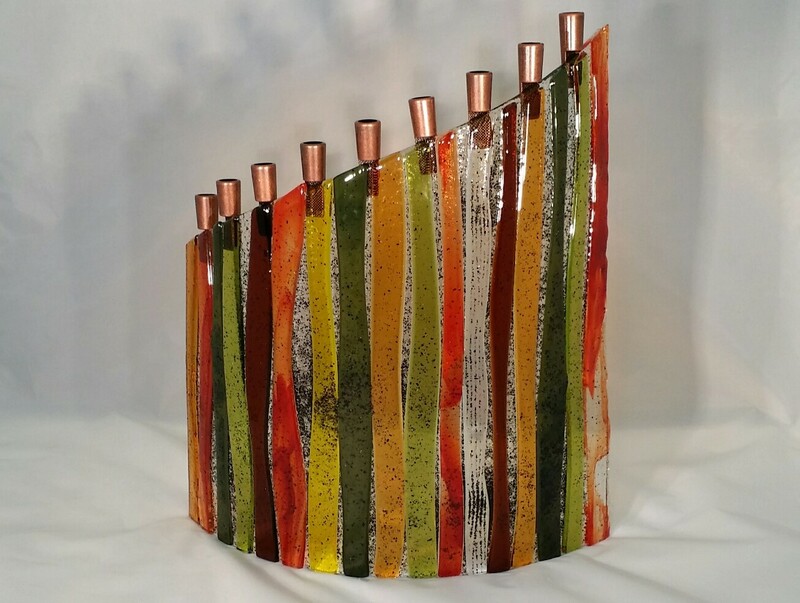 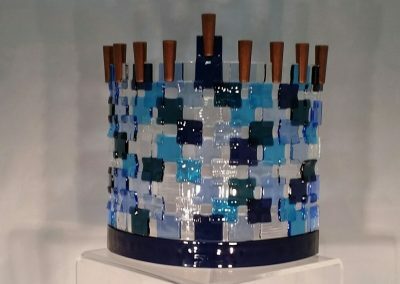 Traditional Menorahs are blues and silver or clear which are beautiful, but I can also make them more colorful and contemporary. 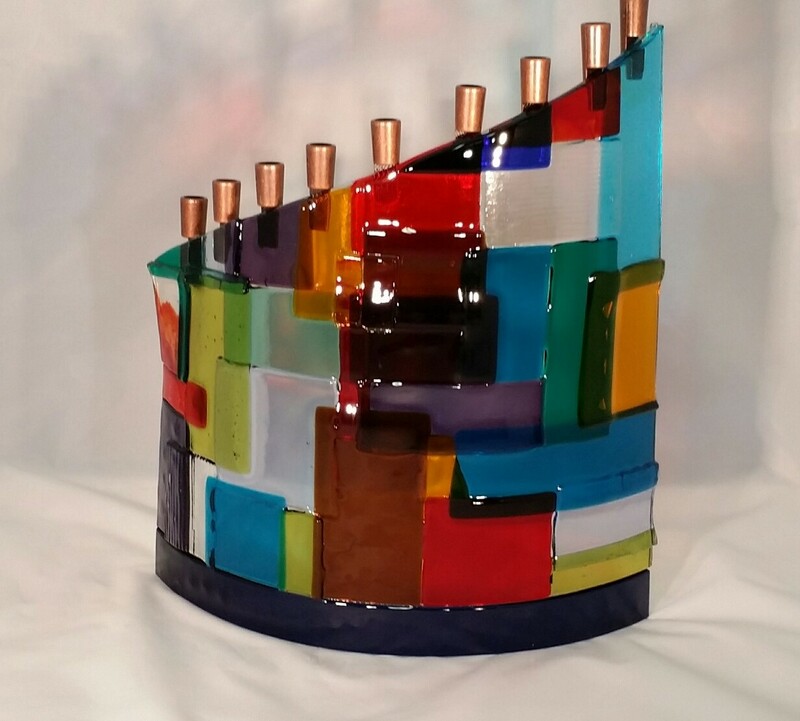 I love making Menorahs.